Online sellers have a problem. They are now being faced with increasingly-demanding, and, at times, unrealistic expectations from online buyers to deliver orders with unprecedented speed for little to no added cost. eFulfillment Service’s The State of Ecommerce Order Fulfillment & Shipping report combines data compiled from online merchants we service along with data from other recent studies, and aims to disseminate the facts as they relate consumer purchasing and shipping behavior. Here’s what you’ll find in this report…. 1. A breakdown of how online consumers spend their money. 2. An overview of shopping behavior on marketplaces vs. retailer websites. 3. The reasons why so many people shop on Amazon. 4. Specific areas that online retailers are falling short with their order fulfillment. 5. What online buyers consider to be fast shipping. 6. How much online buyers are willing to pay for fast shipping. 7. Actions that buyers take to qualify for free shipping. 8. The most costly aspects of ecommerce order fulfillment. 9. How online retailers handle order spikes. 10. What to expect for the future of the last mile of delivery. 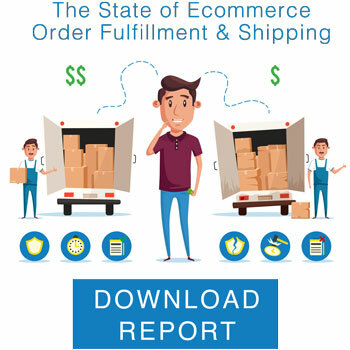 eFulfillment Service's new report offers eye-popping statistics surrounding the shipping expectations of today's online buyers, and how sellers can cope with them. bought from a company that uses this shipping company!!!! never again, i had never even heard of this outfit, was picked up on the 25th and is now sitting outside of Memphis, i can drive to get it in 2 hrs, but it will be another 3 days before it gets here!!! !